Heeft u een vraag voor Alamo Bay Inn? Gesitueerd in de gezellige wijk Station 2, geniet Alamo Bay Inn een goede reputatie onder reizigers met een interesse in denachtleven, restaurants, stranden centrum van Boracay. Op slechts 73.6 km afstand, kan deze 2-sterren accommodatie eenvoudig vanaf het vliegveld worden bereikt. 'Sightseeing' opties en lokale attracties hoeft men niet ver te zoeken, aangezien de accommodatie in de buurt van Don Ciriano S Tirol Sr Memorial Hospital, Talipapa Market, D' Talipapa Market ligt. Alamo Bay Inn biedt gasten superieure services, plus een breed scala aan voorzieningen, en is toegewijd om uw verblijf zo comfortabel mogelijk te maken. De topvoorzieningen van de accommodatie zijn inclusief gratis wi-fi in alle kamers, 24-uur beveiliging, 24-uur receptie, wi-fi in openbare ruimtes, roomservice. Stap binnen in één van de 10 uitnodigende kamers en ontvlucht de dagelijkse stress met een breed scala aan voorzieningen, zoals plasma tv, internet (draadloos), draadloos internet (gratis), airconditioning, verwarming. De accommodatie biedt vele unieke recreatiemogelijkheden zoals wellnessfaciliteiten, massage, tuin, watersport (gemotoriseerd), watersport. 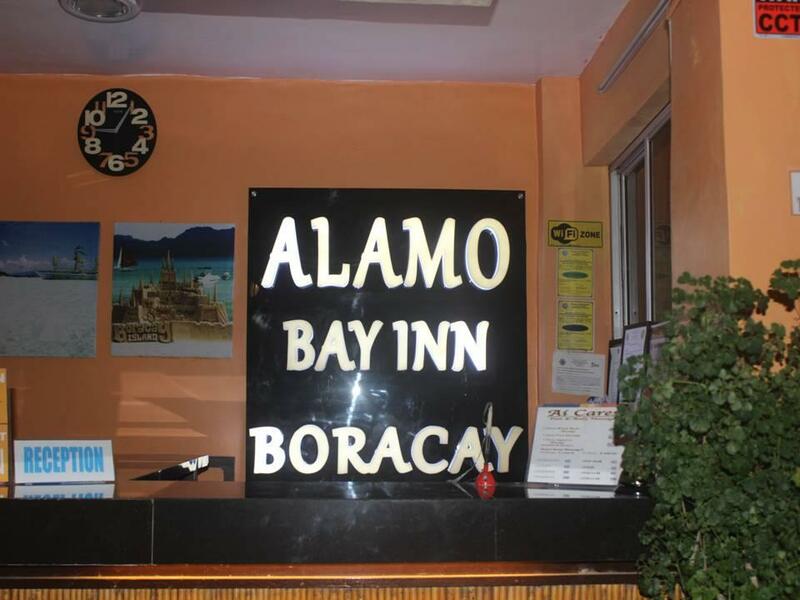 Wat de reden van uw bezoek aan Boracay ook is, Alamo Bay Inn is de perfecte keuze voor een enerverende vakantie. My husband and I stayed here on our wedding anniversary. The place was clean and cheap. It was just a five-minute walk to the beach. The only issue was... the light switch in the bathroom was not working. 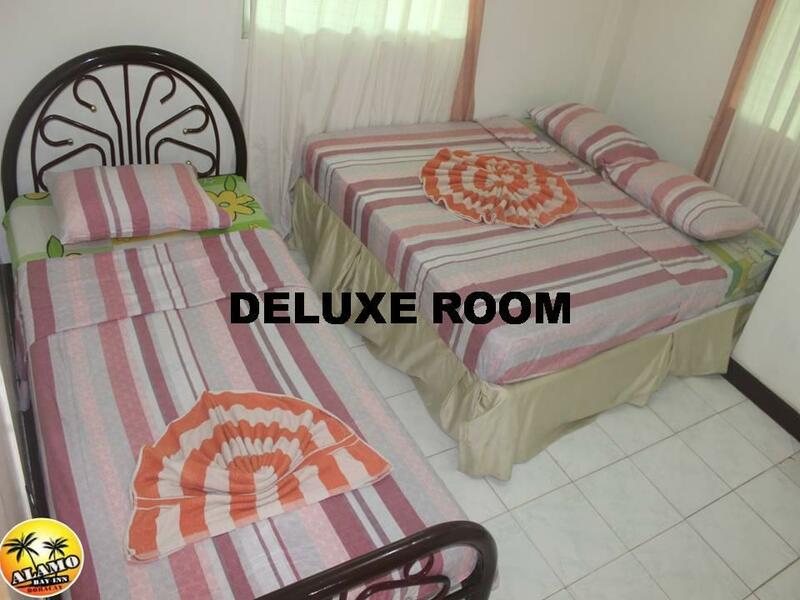 The staff told us that it was because of the previous tourists who rented the room. But overall, it was a great stay! Nothing's fancy for the price. The AC was too small for the room. Hence, the need for an electric fan. On the second day of stay I asked for a room service, my personal toiletries inside a paper bag were thrown away. Staff should be careful next time. They were kind enough so I accepted the apology. 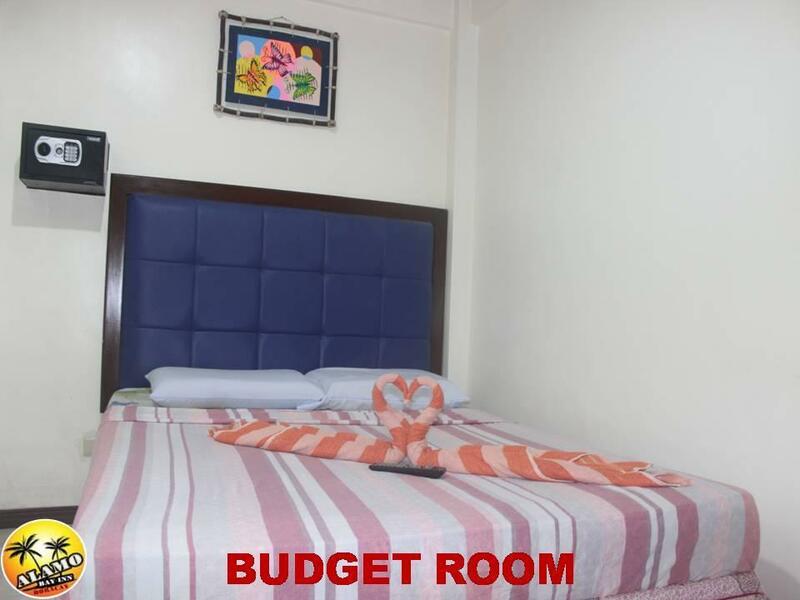 A decent room to stay at for a budget traveler like us. Perfect .this place was clean . Hot shower . Free hot / cold water .multiple channels on tv , Friendly staff . Great value for money being 5 minutes from beach . The location is in the market area which is so good for every travelers because everything that you need is just around you. 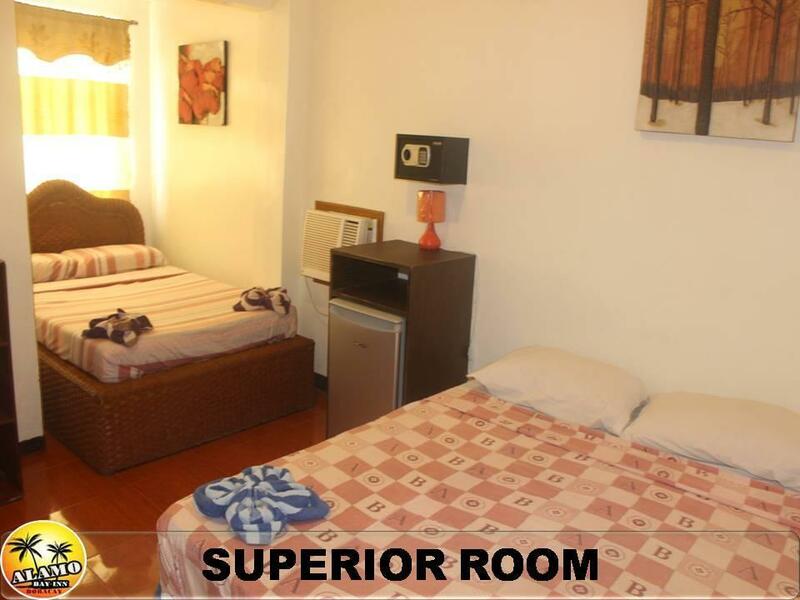 A short walking distance from the beach. The staffs are all helpful. The room is not that clean when I checked inn but it doesn't matter because I was always in the beach during my stay. Friendly staff. You might want to consider serving food inside the facility. Pros: - Staff was helpful when we got lost and couldn't find the inn. - Internet connection was okay - Location was near D'Mall Cons: - Requested for a non-smoking room. Yes, they put us in one but it was right in front of the smoking area. I have asthma and this was a big no for me. - The bed was horrible. Could not get decent sleep. The sheets and towels had some stains on them. - The bathroom was dirty when we first arrived - The path going to the inn gets flooded when it rains We had to check out the next day because it was really uncomfortable. But if you're traveling as a group and trying to save money on accommodation, I guess this would be a good option. Basic amenities, less food choices within the area, a lot of on going construction. really bad place. Paid €21,- for a smelly room with a bed like 20 years old. Dirty towels and a lot of mosquitos. Never go to this place, there are many places for the same price wo are a lot better. Beside that the staff are not friendly and they wachted the hole night tv so it was really noisy and we couldn't sleep at all. I got the standard room (room 105). It’s pretty small and basic. The sink in the washroom is clogged, no where to hang wet clothes or towels. Inside the room, they have small fridge, and tv. Also, no where to hang our clothes. The bed is clean, but towels provided were not so much comfortable to use. But i like the people and the location. It’s just awesome. This hotel is a good choice for this price. Furniture and beds are in good condition, and the staff is nice. It's located in a narrow road, so the place is not that noisy. Lots of restaurants and markets can be found in the area, and the White beach is very near. Poor service.The Linens were stinky and the bathroom was flooded while you are taking a shower...the staff will never guide you to your room they will just give you the key and thats it.I willnot recommend since its far from the beach.Youre like staying in Tondo.the alley going to the beach was very narrow and flooded and you can even smell cocroach.